“Bulls & Bears” panel discuss FBN host David Asman’s op-ed “Social Security’s ultimate insult” and the problems surrounding the entitlement program. By now we should all realize that Social Security is one of the biggest frauds going. Every year we get proof of this when we receive an accounting of how much we&apos;ve "contributed" to our personal Social Security account over the years and how much we’ll receive monthly when we retire. Look closely at those figures. Ask any broker how much better your investment would be if that money had been invested outside the government&apos;s system. If the same savings had been put in an equity fund that tracks the broad stock market averages (such as the S&P 500) instead of Social Security, your return on retirement could easily amount to five times that amount over a lifetime. Even if you had put your savings in safe government bonds, you could be assured of annual retirement returns of two to three times what Social Security returns pay out. Instead, a Heritage Foundation study found that the inflation-adjusted, average annual return of Social Security savings comes to a paltry 1.23 percent. The same study found that for low-income folks, the inflation-adjusted return can end up being negative; that is, those who can least afford it end up getting paid less than they and their employers paid into their SS accounts over the years. Worse than that, the solvency of the entire Social Security fund is at risk. Politicians often brag that our social security savings are in a "lock box." But what they don&apos;t tell you is that the "lock box" has been raided over the years by politicians who take cash out of the "lock box" to pay for spending programs, which they use to help themselves get re-elected with our money. They replace that cash with IOUs. And those IOUs are a big part of our overall government debt that will soon top $22 trillion...more than our entire Gross Domestic Product [GDP]. As interest rates go up, the Federal Reserve has already hiked rates three times this year with a fourth planned for December, we may soon be unable to pay off the interest of our debt, which could put Social Security payments in dire straits. If all that wasn’t bad enough, we have the baby boomers to worry about; more folks retiring and not enough young folks paying in. The Social Security Board of Trustees now project that by 2022, there will be more money going out in benefits than there will be coming in from Social Security taxes. Anyone who balances a check book knows that situation can’t continue for long. But adding insult to injury are the tactics the government uses to cut corners on Social Security payments wherever they can. Often we are unaware of these tricks until we are faced with the death of our retired loved ones. I recently became aware of this ultimate insult with the death of my mother, who passed away on October 28. My mom was a hard working woman, who was employed most of the time, while she and my father were raising my sister and me. She and her employers dutifully paid into the system with every paycheck, and my mom was proud to receive her Social Security checks upon retirement...as measly as those checks were. Less than two weeks after her death, I received a note from the Social Security office. The note started off cordially enough, stating: "We are sorry to learn of your loss. Please accept our sincere sympathy." But then came the hammer blow. For example, if the person died in July, you must return the benefits paid in August...Benefits received by check must be returned to Social Security as soon as possible. Do not cash any checks received for the month in which the person dies or later. 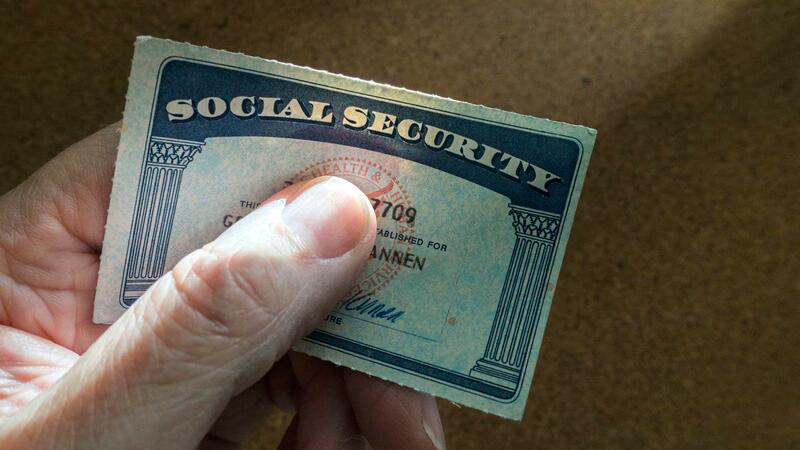 The letter explained unapologetically about a rule that Social Security recipients lose any money sent to them in the month that they die, a rule many don&apos;t know about until you get the cold news. In our case that means they’re demanding back $1,772.00, which is the money my mother received for October, even though she died at the end of the month. Now thankfully my parents were careful savers their entire lives. They invested their own modest nest egg wisely, and we were blessed that they had enough money to insure that their final years were comfortable. But I can&apos;t help thinking about the families of those who either could not save as much as my parents, or had made the mistake of thinking the government really does care as much about taxpayers as politicians never tire of assuring us. For many, $1,772 is not a check that can be easily written. So the next time you hear politicians talking about how sacred Social Security is, just think of this one little example of their infamy, and of the overall fraudulent nature of a system that needs massive reform.